This evening I got to thinking about web browsers and privacy. Privacy is, of course, a regular concern for many of us and there are many different “solutions” out there. Recently web browsers have been adding privacy modes, which allow us to browse the web without storing a lot of cookies, history, etc. Google Chrome (or Chromium) provide the “Incognito” mode, which allows for private browsing. 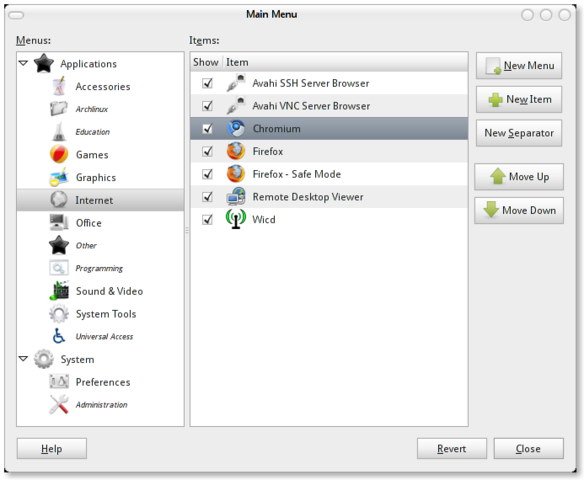 This mode can be launched using the key combination “shift-ctrl-n” or selecting “New Incognito Window” from the menu. The only missing piece is until recently there hasn’t been a way to launch this mode by default. 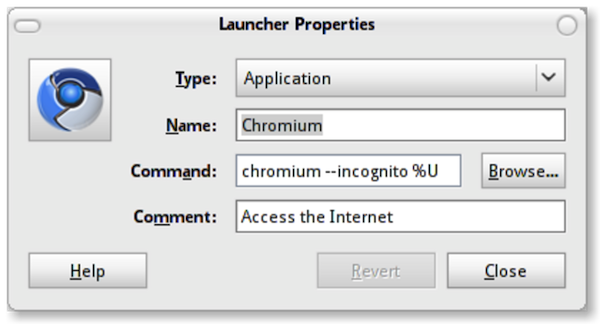 In this article I will outline how to update your system to launch Google Chrome’s Incognito mode by default. This includes launching it from the Applications menu as well as making it the default when opening new links. 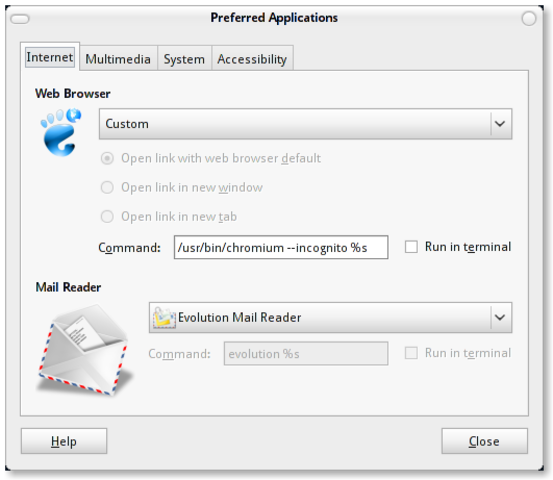 Edit your Application menu entry for Google Chrome (or Chromium) using the ‘alacarte’ application. You can launch this command directly or right-click on the Applications menu and “Edit Menu”. Navigate to “Internet” section and select the Google Chrome (or Chromium) entry. Once selected, simply double-click the item to open its properties and update the command, description or title. As you can see from the screenshot above, the addition you’ll want to make is the “--incognito” between the existing chromium and %U. This will update the Applications menu, essentially setting Incognito mode as the default when launching this application new. In addition, if you want links to be opened in Incognito mode you’ll also need to update your Preferred Applications configuration. This is done in the Preferences > Preferred Applications. This is assuming that Google Chrome (or Chromium) is set as your default. In the screenshot below, you’ll see that we’ll essentially make the same change as we did above. These two simple steps will configure your browser to perpetual private mode. From my searching, I couldn’t find any documentation specific to Linux, so here it is. I hope you find it helpful! qualitatively written instructions, thanks! when there are updates to the site? Although this seems that it would be extremely helpful, it will not work on my 10.04 system. I keep receiving the message that it ‘Failed to execute child process “chromium” (No such file or directory) while, obviously, the link launches Chromium in normal mode.